My 1-2-3 Cents : Does Size Matter? This is the first now Christmas related blog I've written in a while. It's an issue that's been on my mind for quite some time, but I've simply not had time to sit and write. I even tried to do a video on the subject today, but I couldn't organize my thoughts to make any sense, so I'm hoping by writing them out, it will help convey my message. I have been a fan of professional wrestling for almost 30 years. 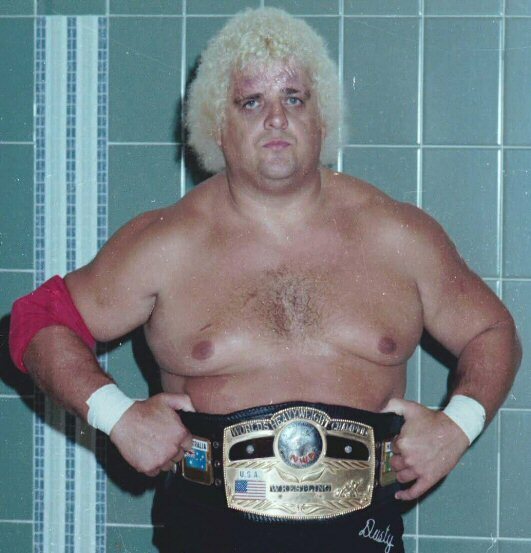 In that time I've seen guys like Harley Race, Dusty Rhodes, and Ric Flair all climb to the top of the mountain. What do these three men (and many other wrestlers) have in common? Not only have they all be world heavyweight champion, but I think it's safe to say none of them were ever considered great physical specimens in the ring. But each of them could work a match and entertain a crowd. I can remember being captivated by Dusty Rhodes and the way he talked. His style in the ring was unique too. I loved it when Dust would go on an elbow dropping tirade on an opponent. Race had a style all his own too. Scientific, meticulous, deliberate. And he's an eight time world champ. Then there's Ric Flair, what more can I say about Nature Boy that I haven't in past blogs. He's the man, man. 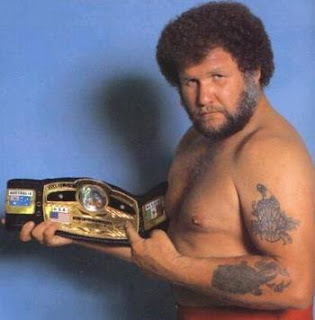 While he was in better shape than Rhodes and Race, he was far from having that body builder look. Anyway, the point of this post is that success is not, or at least should not be determined by the physical condition of a wrestler. Sure, having "the look" is important, but it's should not be the biggest piece of the wrestling puzzle considered. Right now there are a lot of what I like to call Cookie Cutter looking wrestlers. Randy Orton, Ted DiBiase, Cody Rhodes, Zack Ryder, Dolph Ziggler, Evan Bourne, you get the point. Six pack abs, big biceps, and the spray tan. But just because they have that look, does that mean guys like Brodus Clay, Husky Harris, and Bully Ray don't deserve a chance. Sure right now all the champs in TNA and WWE look like they've stepped off the cover of Muscle and Fitness magazine, but I still maintain those who don't fit into those body types should be shunned. Same goes for the Divas and Knockouts. Women like Kharma, Beth Phoenix, Natalya, and ODB should be applauded for not falling into that Barbie doll stereotype. When I polled our Facebook friends on this issue, many said the ultimate wrestler's body type should be more like Bret Hart, Mr. Perfect or Shawn Michaels, not Dave Batista, Chris Masters, or the Ultimate Warrior. One reader said that those body types are more prone to injury and longer recovery time. I agree with that assessment. There are plenty of other guys who have had success in the ring without that cookie cutter body. So when a wrestler claims that others who don't worship the same gym gods that he does should not be in a ring, I call foul. No hate to the meatheads here, as some of my favorites fit into that category too. I'm just saying it's possible to have success in the ring without looking like you could snap a telephone pole in half. So, what do you think? Weigh in right here or go to Facebook, Twitter, or YouTube to let us know your opinion.